How to convert multiple HTML files to a single RTF using C# .Net platform. | How to convert multiple HTML files to a single RTF using C# .Net platform. How to convert multiple HTML files to a single RTF using C# .Net platform. For example, there is an online book consisting of a set of HTML files. (As shown in the figure). We've a task to convert some html files from this book into single RTF document. 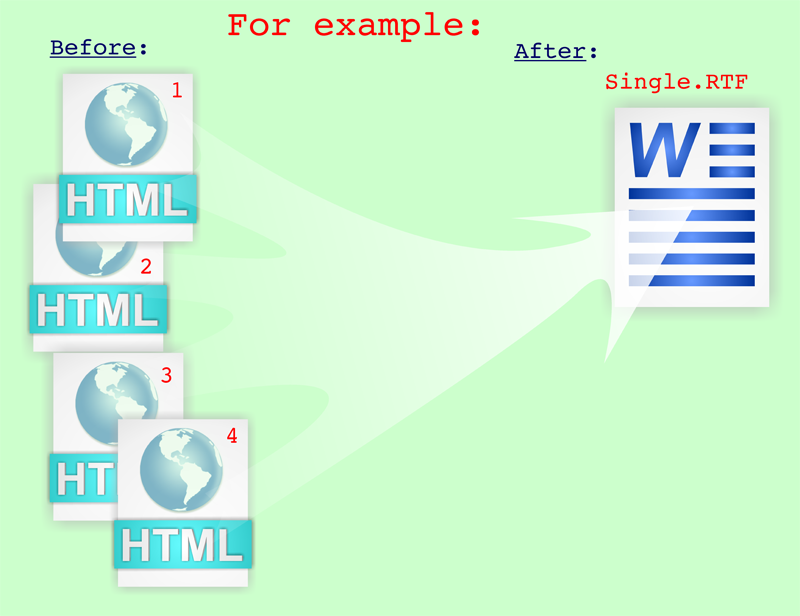 Component HTML-to-RTF.Net not only can convert HTML files to RTF, but unite received RTF files into one.